SPBI, Limited Company with a registered capital of €51,541,628, listed with the Registry of Trade and Companies of La Roche-sur-Yon, under the number 491 372 702. Its registered office is located at: Parc d’activités de l’Eraudière, 85170 DOMPIERRE SUR YON (France). Access to and use of this website are subject to the Legal Notices set out below, as well as all applicable laws and regulations. Connecting to and accessing the www.beneteau.com website implies full and unreserved acceptance by all visitors of all the provisions contained in these Legal Notices, which should be viewed whenever connecting to the site. 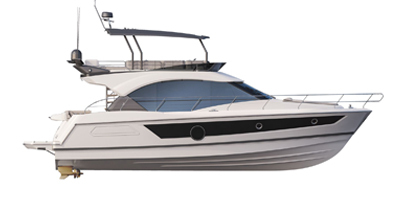 - Present the BENETEAU brand’s range of products and services. - Provide information about events and boat shows concerning them. - Present its worldwide dealership network. The data collected through the www.beneteau.com website is confidential and is used by SPBI to respond to your requests for information, for your subscriptions to the BENETEAU newsletter, and to give you access to certain services that help us get to know you better. It is only used with your consent. The processing of this data is based on the legitimate interest of the brand to manage its client and prospect relations. SPBI agrees to refrain from using any private data you may supply in any way that would contravene current data protection legislation. The data fields marked with an asterisk are required to process your requests. If you do not fill these in, your request will not be processed. The data collected is for the internal use of SPBI and, in particular, by the “Communications and Marketing”, “After-Sales” and “Customer” departments. Your data can also be transferred to Groupe BENETEAU’s other entities, as well as to its dealers, who may send you sales offers. - For 13 months from the date of the creation and storage of cookies. - Access your data and request its rectification, erasure or portability. - Send us instructions on how to make use of your data (retention, erasure, transfer to a third party, etc.) in the event of the death of the person concerned. You also have the right to appeal to a national data protection authority, such as the Commission Nationale de L’informatique (CNIL), in France, in the event of a breach of legislation applicable to private data and its protection, and, in particular, European Regulation No. 2016-679. Furthermore, you can unsubscribe from our newsletters or any other communications sent to you by SPBI by clicking on the unsubscribe link included in each newsletter or communication. As you browse this website, we are likely to save data related to your navigation in files known as “Cookies”. These are stored on your terminal (computer, tablet, mobile phone or any other device optimised for the Internet). These cookies are used by SPBI to improve your user experience and make it easier to browse this website. In using cookies a company or organization can recognize the terminal of the users on which it has been stored. It can also collect data related to how they browse websites and offer personalized services to them. We would like to reassure you that these cookies contain no private data and that only the company or organisation deploying the cookie can read or modify the data within them. - “Functional cookies”: these adapt the presentation of the website to your terminal’s display preferences (language used, display resolution, etc.) and personalize your access to the site. - “Analytical cookies” (or “audience measuring cookies”): these collect traffic data anonymously to build statistics and establish how often the site is visited (number of visits, page views, etc.) and to know how the elements comprising this site are used (sections and pages viewed, etc.) enabling SPBI to track and improve the quality of its services. This site uses Google Analytics, a service analysing Internet sites provided by Google Inc. (“Google”), with which we can analyse the way the site is used by its users. - “Social cookies”: these enable you to interact with social modules on the website (Facebook, Twitter, etc.). - “Retargeting cookies”: these memorise your data and recognize you on another website that partially markets a similar advertisement inventory. You can also configure your browser to accept or reject all cookies either systematically or according to the name of the company deploying them. You can also choose to be informed automatically when a cookie is stored on your device. As a user of this web site, you confirm that you have the skills and technical resources required to access and use it. You are solely and fully liable for the use you make of the www.beneteau.com web site. SPBI may not be held liable for any damage, whether direct or indirect and, more specifically, damage to equipment, loss of data or programs or financial loss arising as a result of using this web site or those web sites to which it has links. In using the www.beneteau.com web site, you agree to refrain from any action that might cause a computer failure, whether functional or of any other nature, affecting the operation of the website or of any server or service that may be accessed via the website. Within the space of the website, you expressly agree to provide only reliable information, data, documents and/or files that are inoffensive and not likely to affect the operation of the website or of any server or service that may be accessed via the web site. - Refrain from damaging the image of SPBI, in any way and in any form whatsoever. SPBI cannot be held liable for any damage resulting from an internet user accessing or using the website, or his inability to do so. SPBI opened this website to provide information for the personal use of its users. Under no circumstances may the data on this website be exploited commercially without the prior consent of SPBI in writing. The site offers an overview of SPBI's range, products, and services. Consequently, SPBI cannot be held liable for any inaccuracy or omission in the data online on this website. SPBI has entrusted the distribution of its products and services to a network of dealers and independent traders. They are the only people authorized to provide you with accurate up-to-date information on the characteristics and prices of the products and services that they commercialize. SPBI has a continuous development policy for its networks' products and services and, without prior notice or informing the public, it reserves the right to modify information related to characteristics and the prices of products presented without incurring liability. Since SPBI is unable to show its complete range on this website, we recommend that you contact the dealer of your choice to obtain additional and personalized information. The information shown on this site is the latest update of the different pages of the site when it was put online. Modifications may have been made since the last update. This is why we recommend that you refer to the dealer of your choice for further information and to find out about recent developments. SPBI cannot guarantee the reliability and exhaustive nature of the information provided for internet users on its website. The prices published on the website are for information only. These were the list prices at the date of the last update of the different pages of the site. These are guideline prices and are likely to change at any time without warning. Under no circumstances can these prices be considered a contractual offer of a product or a service by SPBI or its dealership, and under no circumstances are the dealers bound by them. Despite SPBI's every effort, errors in price may occur on this website, whatever the reason may be (computer bug, manual error, technical error, etc.). Under no circumstances may they incur SPBI's liability. To obtain precise updated information, particularly in relation to prices, availability and, characteristics, we recommend that you contact the dealer of your choice. Our network dealers define the prices of the products and services they sell independently. Moreover, all the products and services shown on this website are not necessarily available at all of our dealers. We recommend that you contact one of them to find out more about the availability of the products and services presented. Under no circumstances shall the selection of a product or service on this website be deemed a reservation for a possible order. Reservations may be made with the dealer of your choice. Under no circumstances shall the selection of a product on this website be deemed a reservation for a possible order. Reservations may be made with the dealer of your choice. SPBI is the author of this web site within the meaning of articles L 111.1 and subsequent of the French Intellectual Property Code. This web site was designed and produced by CARRE BASSET. The text, photographs, animations, drawings, sounds and other creations are the sole property of SPBI. Any reproduction, whether full or in part, direct or indirect, temporary or permanent, by any means and in any form whatsoever, as well as any representation, use and full or partial modification of this web site are prohibited. Any such use constitutes a copyright infringement, punishable by four years' imprisonment and a fine of €300,000 (Article L 716-9 of the French Intellectual Property Code). The named and semi-figurative BENETEAU brands are registered by SPBI and are the sole property of the company. The EYB, JEANNEAU, LAGOON brands are referred to by SPBI on this web site with the permission of their respective owners. Any reproduction, use, imitation, insertion, deletion or modification of these brands, without the permission of SPBI or their owners beforehand, constitutes an infringement punishable by four years' imprisonment and a fine of €300,000 (Article L 716-9 of the French Intellectual Property Code). 8.1 The website can contain hypertext links leading to other Internet sites, completely independent of www.beneteau.com. SPBI does not in any way endorse or guarantee the accuracy, comprehensiveness, or truthfulness of the information contained on any website it is connected to by hypertext links. Consequently, you are responsible for any access to another Internet site connected to www.beneteau.com. 8.2 You may not create a hypertext link to this web site or index it without permission in writing from SPBI. SPBI reserves the right to change or correct these legal notices at any time and without prior notice, especially in the event of changes to current legislation, where such changes are necessary to comply with it. The www.beneteau.com web site and these legal notices are subject to French law.